The Arctic Monitoring and Assessment Programme is one of six Working Groups of the Arctic Council. To monitor and assess the status of the Arctic region with respect to pollution and climate change issues. To document levels and trends, pathways and processes, and effects on ecosystems and humans, and propose actions to reduce associated threats for consideration by governments. To produce sound science-based, policy-relevant assessments and public outreach products to inform policy and decision-making processes. AMAP's work is directed by the Ministers of the Arctic Council and their Senior Arctic Officials, who have requested AMAP to also support international processes that work to reduce the global threats from contaminants and climate change. These include the UN Framework Convention on Climate Change, UNEP's Stockholm Convention on Persistent Organic Pollutants and Minimata Convention on mercury, and the United Nation's Economic Commission for Europe (UN ECE) Convention on Long-range Transboundary Air Pollution. 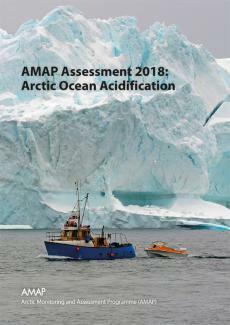 Since its establishment in 1991, AMAP has produced a series of high quality reports and related communication products that detail the status of the Arctic with respect to climate and pollution issues and that include policy-relevant science-based advice to the Arctic Council and governments.